An assignment in collaboration with Bart de Baets, Richard Niessen and Bas Koopmans. We all constructed our own Cobra snake to cut into separate business cards. 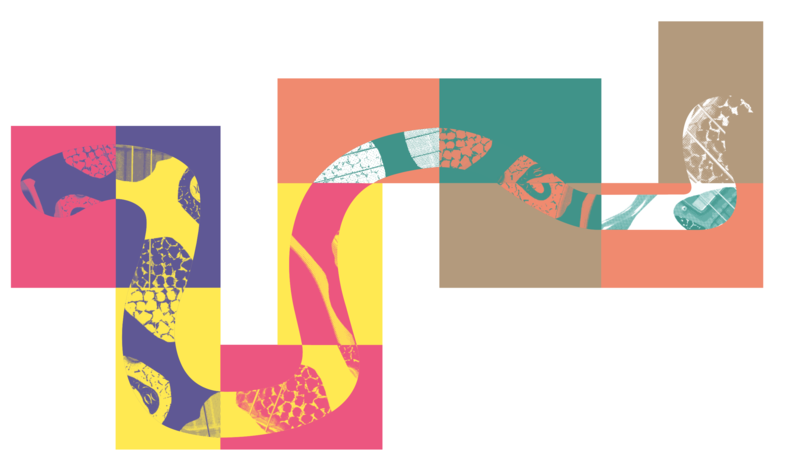 Every employee gets a piece of a snake and becomes a link in the Cobra movement. — > Flyer / poster for PAKT: The Irretraceable Urge. — > ‘Movie + Music’ Themroc poster for Delicatessen Zeeburg. 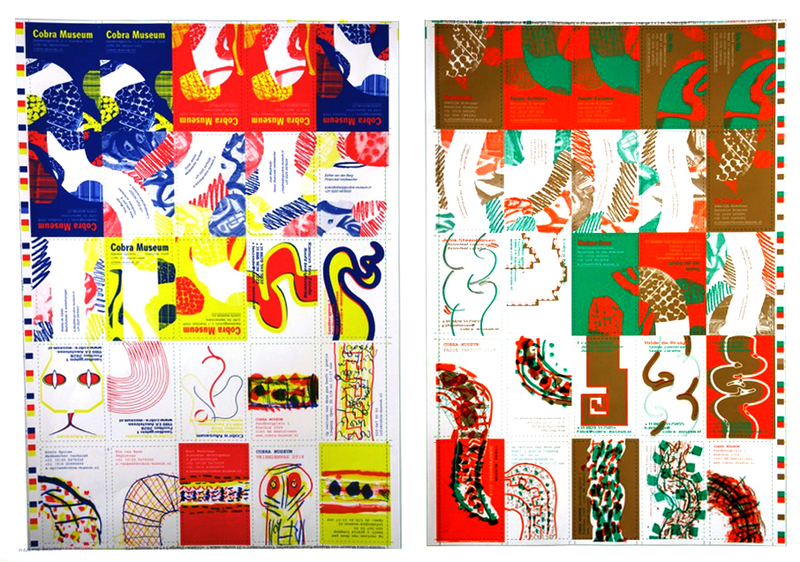 — > Illustration of poster and brochure for Springdance Festival. — > Logo design and series of postcard flyers for Apice for Artists. — > Identity for REC Sound Design Studio. — > Book design for Takako Hamano at the Sieboldhuis (Red Dot Award). — > KNMI Poststamps for TPG Post. — > Book design on Simon Starling for the Rijksmuseum Amsterdam. — > Book design for Stedelijk Museum Amsterdam: 3 books in 1 cover (awarded best book designs). — > Gerd Arntz inspired statistics (2014) for the Anne Frank House. 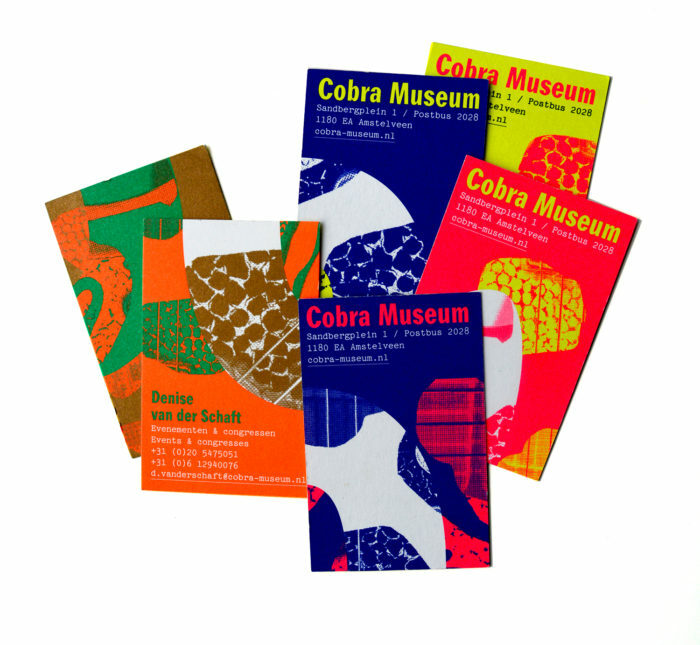 — > Flyers / brochures for Rietveld Academy workshops in the Cobra Museum. 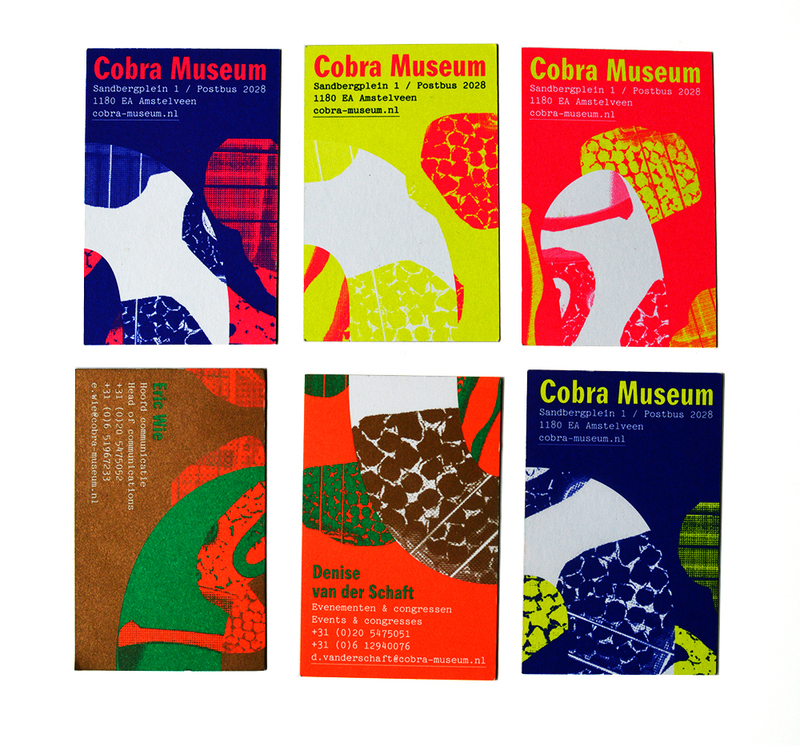 — > Flyers for Michael Tedja in the Cobra Museum. — > Flyer for Pakt: The Principle Rules. — > Poetry Out Loud posters and flyers for De Toneelschuur. — > Poetry book cover design for de Arbeiderspers. — > Book design Manfred Pernice with 8 covers, for SKOR / Utrecht Cultural Affairs. — > Flyer for PAKT: All We Can Do Is What We Actually Doing Already. — > Publicity for Karel Appel in the Cobra Museum. — > Bela Lugosi’s Dead (typeface). — > MiniCoup: T-shirt brand for children. — > Poster for REC Sound in the language of Recording. — > Print It Yourself A4 Annual Reports for Manifesta Foundation. — > Party Flyer for LOS for Tivoli, Utrecht. — > Flyers for PAKT: Not making sense as something else. — > Journals of Curatorship for Manifesta Foundation. — > Magazine ad for REC Sound Studio: busy producing tapes. — > Japanese magazine ad for radiostation Kink FM: the language of sound (sine, square and saw-tooth). — > Brochure for SKOR.